Hey guys! 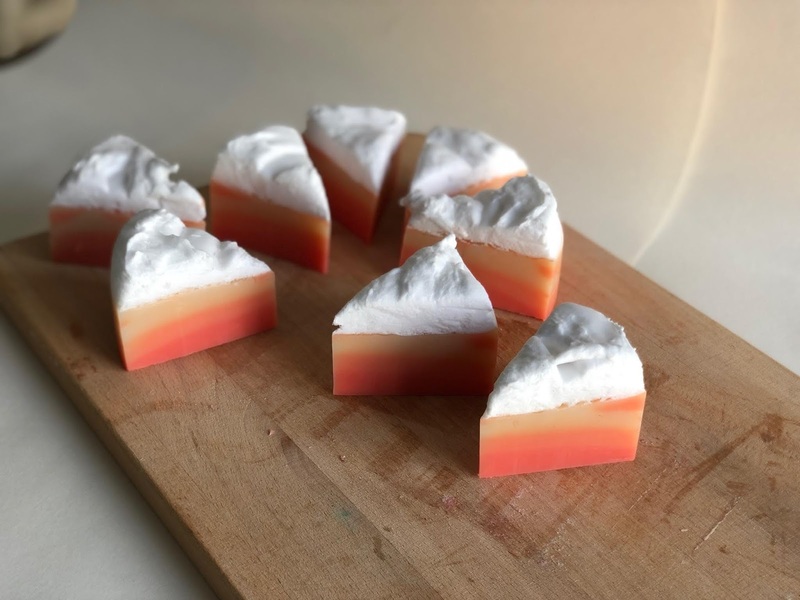 For today’s recipe we'll be making a strawberry layer cake soap which will be a great gift for any event that you will be hosting. First you will need to use Soaplab’s opaque white soap base. In addition to being a cleanser, it adds a swirl of colour to your soap when you add in the peach pink mica. Next, add Soaplab’s transparent and coconut liquid soap base to give the effect of different layers. Give it a few sprays of rubbing alcohol so that your soap sticks together. Finally, for a fruity finish add Fresh Strawberry Fragrance Oil. Enjoy! Once everything is melted, add in premixed Peach Pink Mica. Add in Fresh Strawberry Fragrance Oil into the melted soap. Use a pipette for easy measuring & dispensing. Mix everything with a spatula. Spray mold with rubbing alcohol. Pour in the soap mixture, this should take up 1/3rd of the mold. Spray on more rubbing alcohol and leave to cool slightly. Next, repeat steps 1 & 2. Add in more Fresh Strawberry Fragrance Oil and mix. Go ahead and pour into the mold and spray again with some more rubbing alcohol. Leave slightly to cool. Repeat steps 1 to 4 and pour the mixture into the mold. Spray again with rubbing alcohol and leave it to cool. Separately, combine SoapLab’s soap base that has been melted with SoapLab’s Coconut Liquid Soap Base. Using the whisk attachment on the hand blender, mix until it has a cream like texture. Pour the mixture into a disposable piping bag. Snip off the end, and pipe the cream onto the cake. Leave it to harden one last time. Cut soap as you would cut a cake using a normal kitchen knife.